I was born in a townland called Derryloiste on a farm with fields running down to the River Bann (little did I know that one day I would be working as a priest in a town upstream on the same River Bann). Derryloiste is situated in North Armagh, about a mile south of Lough Neagh – the biggest inland lake in the British Isles. I have three brothers and three sisters and, following primary school, I went as a boarder to Saint Colman’s College, Newry. 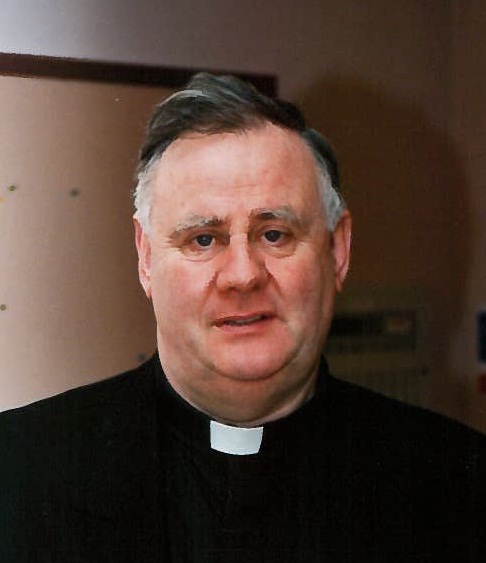 I became interested in the Priesthood and began studying for it in St Patrick’s College, Maynooth in 1965. I was ordained on the 18th June 1972 in St Brigid’s Church, Newry for our Diocese of Dromore. Following a free summer, I was appointed to St Colman’s College as a teacher. I was extremely happy in St Colman’s teaching Maths, Physics and Religious Education. I was appointed vice-principal in 1993 and President (Principal) the following year. I worked in that capacity until my appointment as Parish Priest of Seapatrick here in Banbridge in September 2000. One of the advantages of working in the College was that I was free from College work for about six weeks each summer. I spent that time working with a Pastor (Parish Priest) in his Parish in the Oakland Diocese, which is administered from the city of Oakland, ten miles east of San Francisco in California. I worked in Walnut Creek (about thirty miles east of San Francisco) for many summers and whilst there I was able to help with Baptisms, Marriages, Funerals, Daily Mass and Wedding Masses. I found this experience very enlightening and now, with hindsight, very beneficial for my present work in Banbridge. On arriving in Banbridge, I was struck by the warmth and sincerity of the welcome I received from the community and from a whole host of individuals. In that respect, nothing has changed and, indeed, it is that kindness and generosity of spirit which remains the hallmark of the Banbridge people.But, little else in life remains static and there have been so many changes which have challenged us; changes which we have embraced; changes which have hurt – deaths, illnesses, personal and family crises – and changes which have filled all our lives with joy – births, marriages, reconciliations and success for so many of our young people in their lives. So, as we reflect upon these changes taking place in all aspects of the life of our parish community and, indeed, in local, national and world affairs, be encouraged and assured that it is all in God’s plan for us and that God is with us in it. May God bless you all and may we all continue to enjoy His grace and goodness.